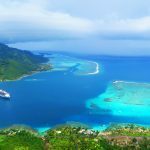 Tahiti is often the name used to describe the 118 islands and atolls that make up French Polynesia, though it’s actually the biggest island in this dreamy French territory. 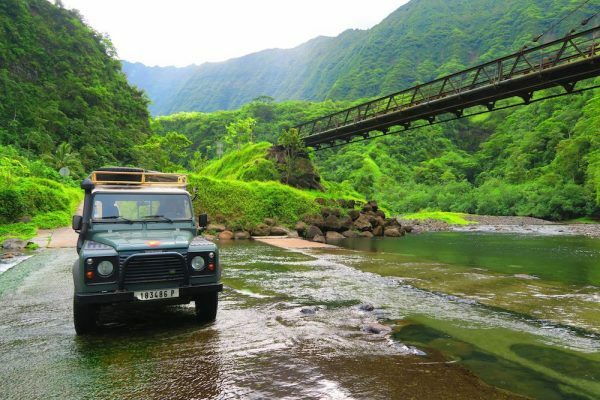 Chances are you’ll spend some time on the big island just after your arrival or just before heading back home. 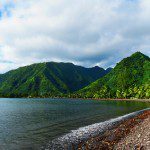 Despite not being as exotic as some of the outer islands, Tahiti is beautiful enough to deserve a few days of exploring. 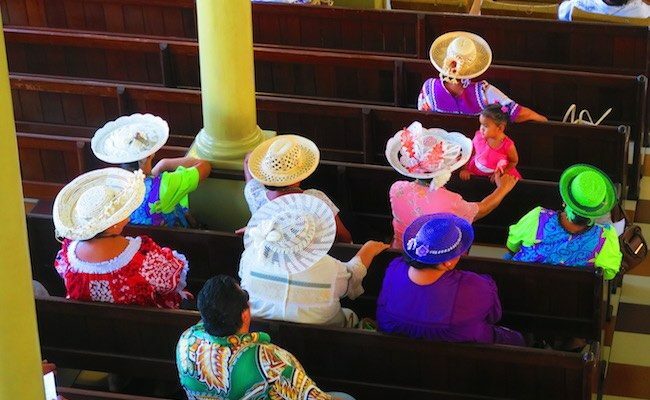 If you only have 1 day in Tahiti, here’s an itinerary to help you make the most of your time. Staying longer? 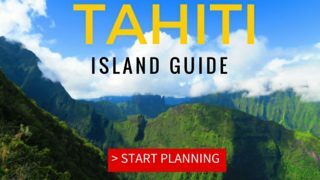 Check out all the top things to do in Tahiti! 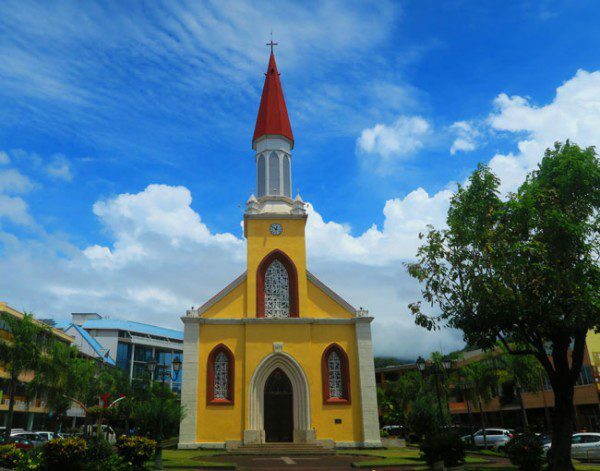 Since you only have one day in Tahiti, we’ll focus our visit on the colorful capital city – Papeete. 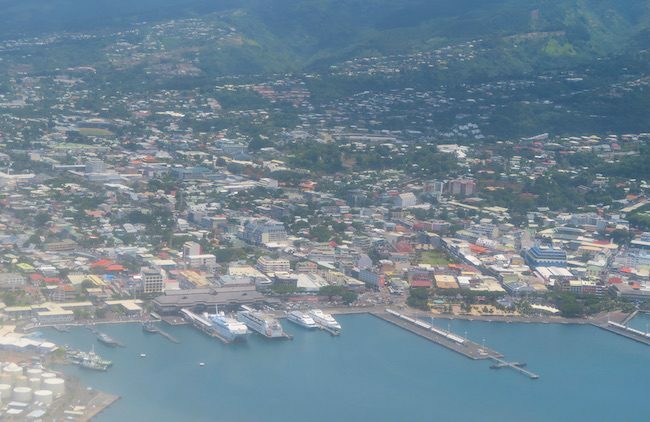 This is the only real city in French Polynesia, though small enough to feel like a town. 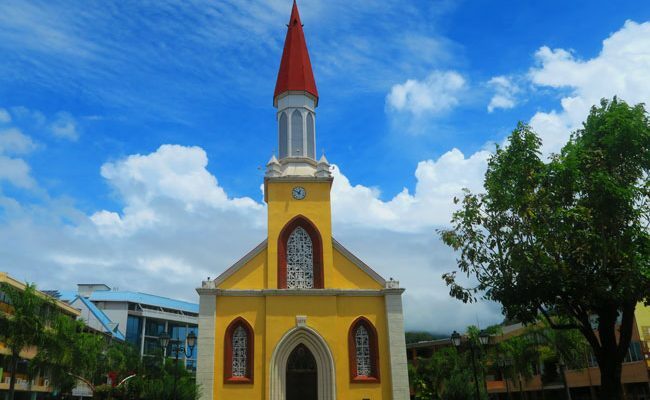 You can easily explore the best that Papeete has to offer in a one-day walking tour. 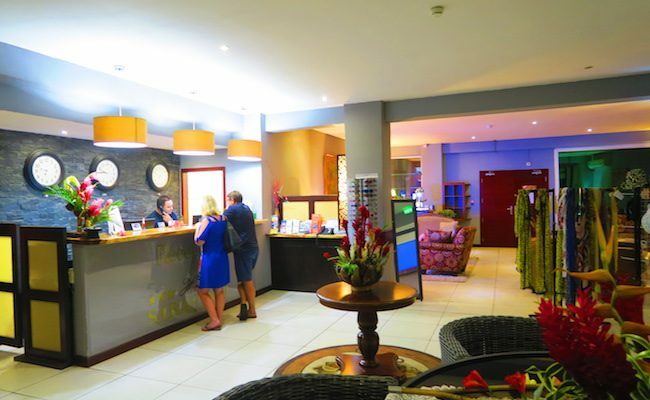 As for accommodation, I highly recommend the Hotel Sarah Nui – right in the center of town and perfect for catching the ferry to Moorea. 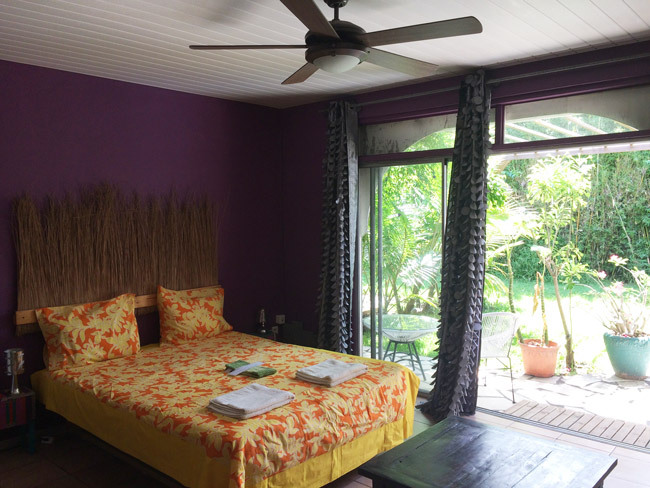 If you’re looking for a budget option, check out Fare Rea Rea (via Airbnb or by emailing Luc at lfrancois.tahiti@gmail.com). 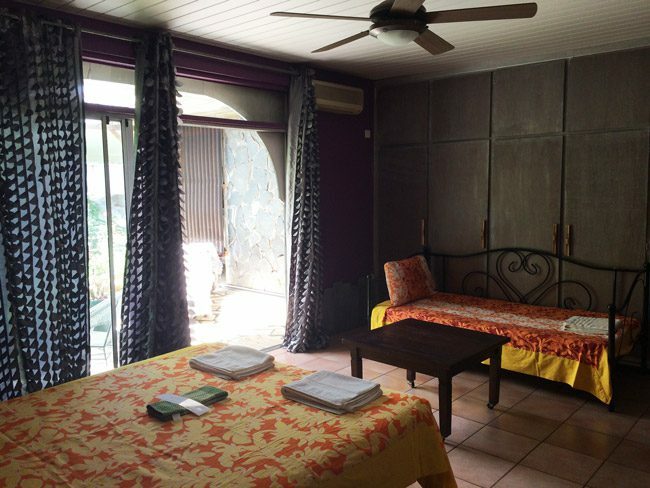 You can choose from a number of shared or private options in a setting that is perfect for both backpackers and couples alike. 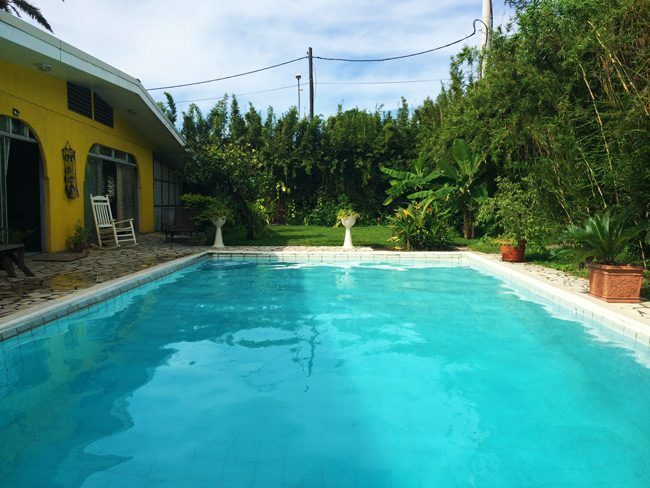 Here’s a list of all Tahiti accommodations that can be booked online. No need to wake up super early, take it easy! Start off with breakfast at Patachoux. This cafe is tucked inside a narrow pedestrian alley and serves yummy breakfasts (and lunch). 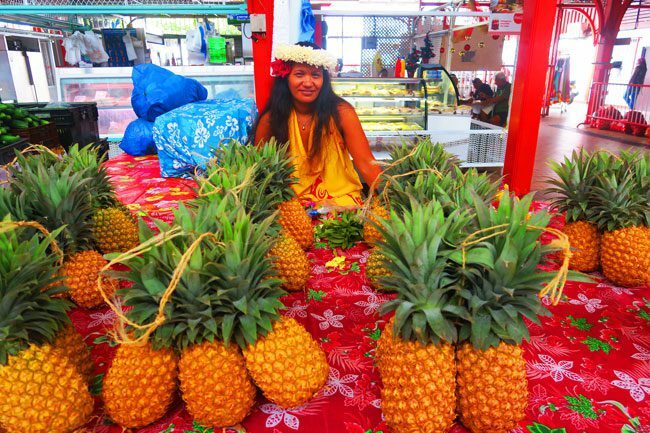 There’s no better way to start our walking tour of Papeete other than at the colorful Papeete Market. 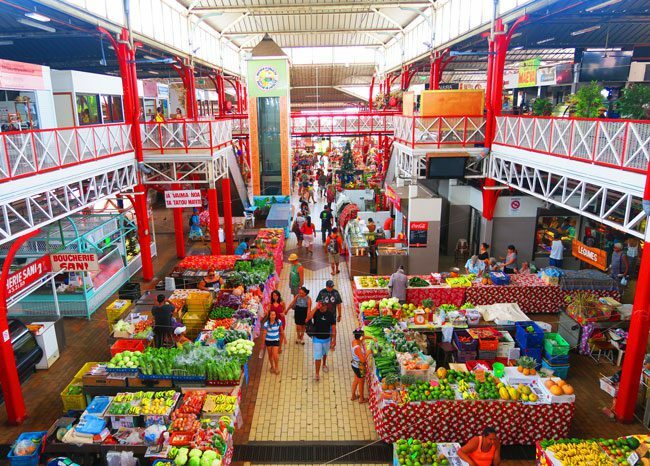 The largest market in the country, this is the best place to stock up on some souvenirs before heading home. 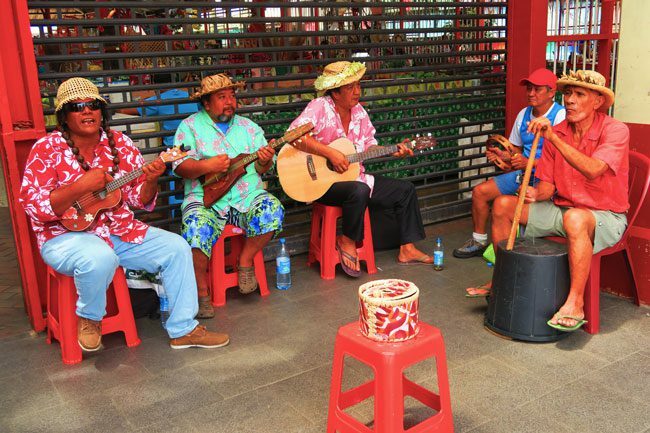 Enjoy some live music before checking out the local specials: scented monoi oil, soap, vanilla, woodcarving, black pearls and of course – colorful pareo. 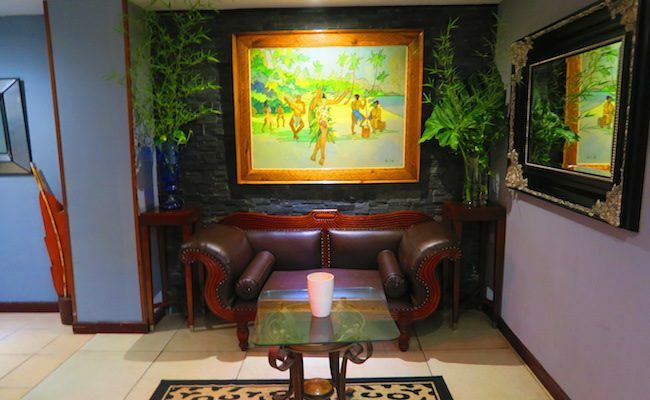 Locals love this place too, with lots of exotic fruits & vegetables, freshly caught fish and Polynesian specials – like the taro and breadfruit. 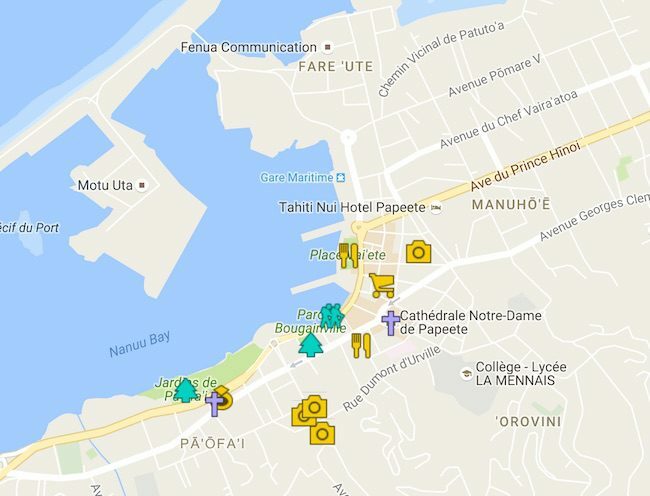 From the market, head a few blocks north and have a look at the Papeete Town Hall. 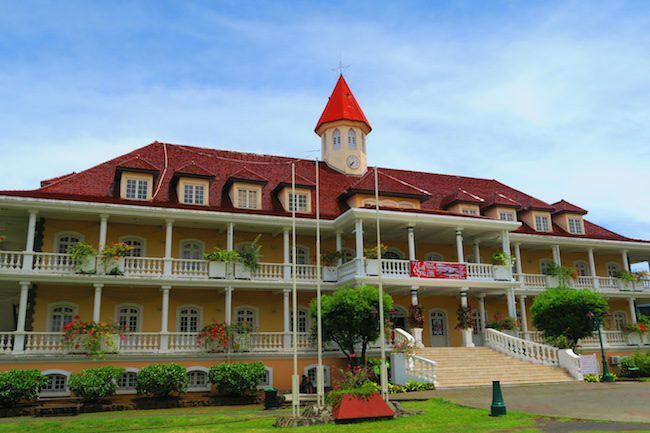 The building was inspired by the old palace of the Tahitian Queen Pomare, and you can stroll around the grounds. Back towards the market, check out the garment, pearls and specialty shops in the streets around the market – before joining up with the busy intersection that’s home to the beautiful Notre Dame Cathedral. 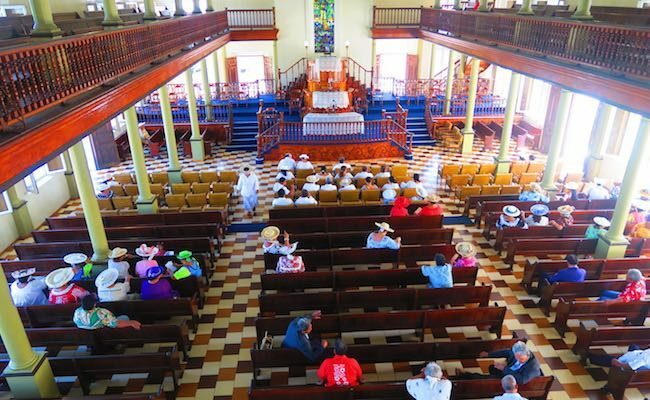 It’s the oldest Catholic church in Tahiti, around since 1875. You can step inside through the side entrance. 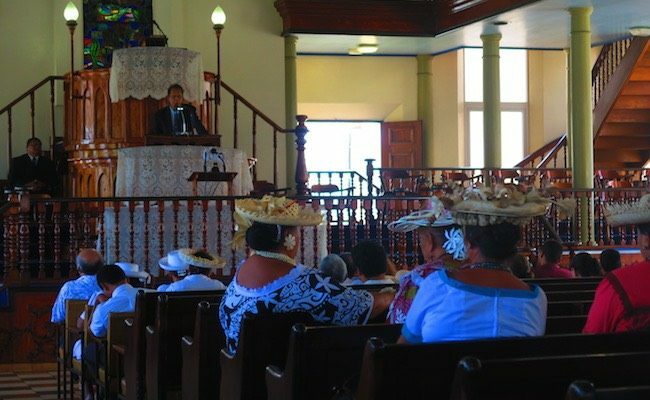 A few blocks away is the French Polynesia Assembly. 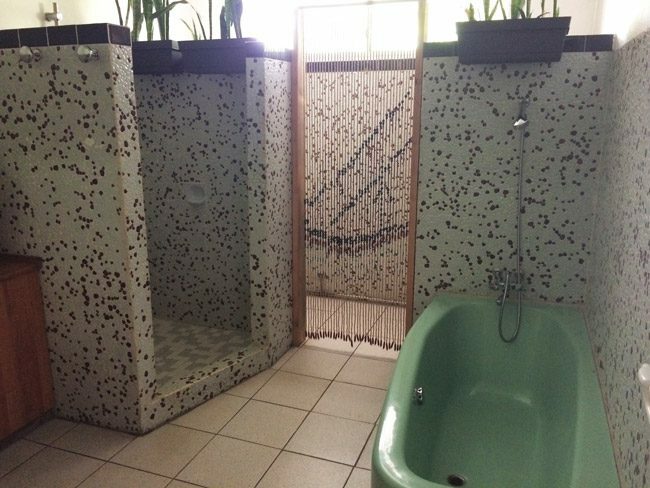 It also doubles as a botanical garden. Follow the footpath and have a look at native plants and a few imports over the years. 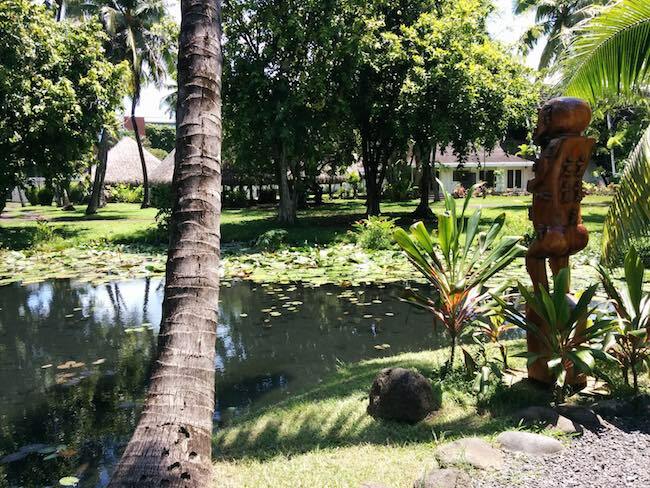 The path leads to the Queen’s Pond – the quietest spot I’ve found in Papeete. It is where Queen Pomare of Tahiti used to bathe in the morning. Next up is the Presidential Palace just up the road. Though you won’t be able to meet the president, you can ask the guards nicely if you can peek into his lovely residence. 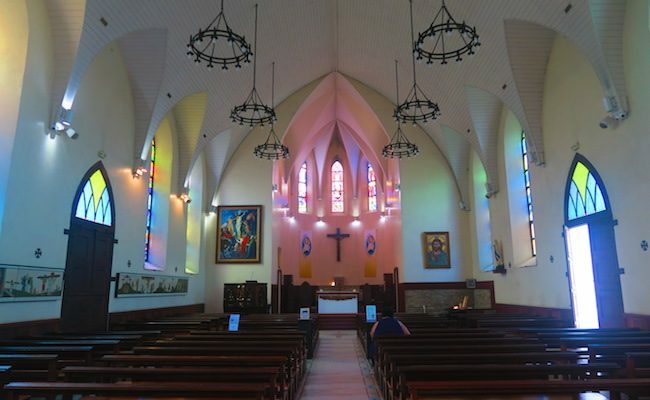 We’ve seen the Catholic church, now time for the Protestant. 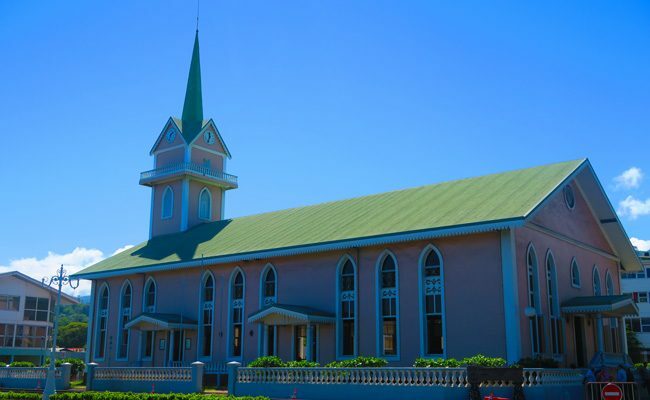 The Paofai Temple is one of the cutest churches around, with its bright pink color radiating in the sun. 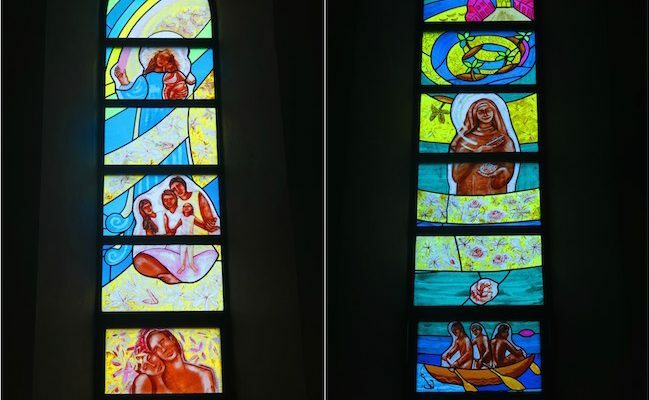 Sunday service is the best time to visit. 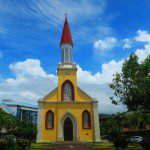 Just across the church is the Tahiti Pearl Museum. It’s the work of Robert Wan, the ‘father’ of the Tahitian black pearl industry. 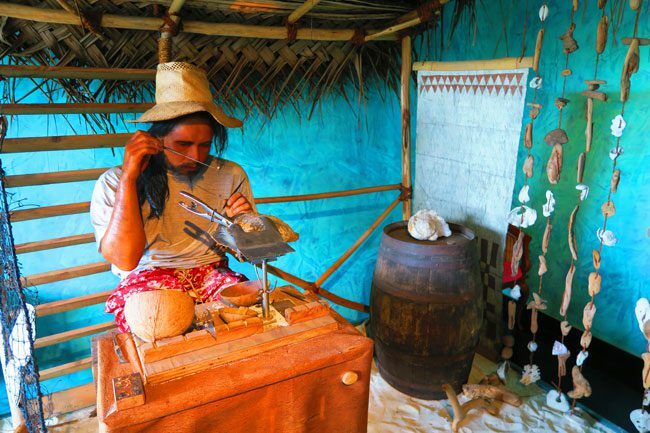 The museum is free to enter, and you can learn how black pearls are made followed by a bit of shopping. 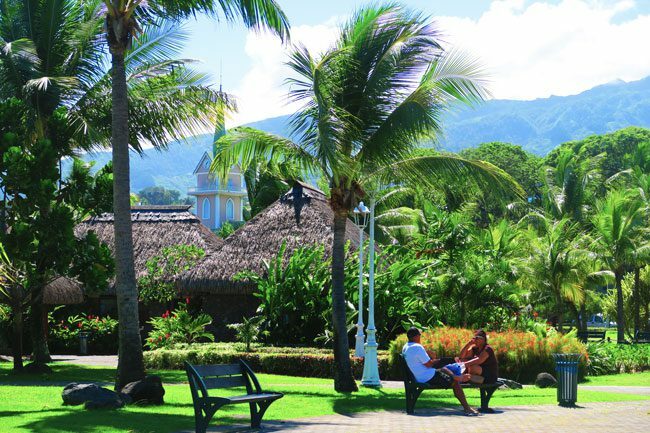 Cross over to the Paofai Gardens – the ‘central park of Papeete’. 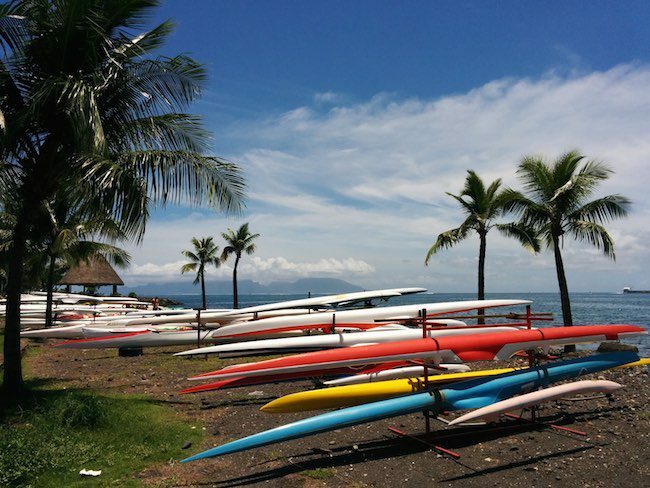 Grab a bench or a shady spot on the grass and watch locals killing a few hours, and super fit Tahitians heading out to the lagoon on outrigger canoes. Time for lunch! 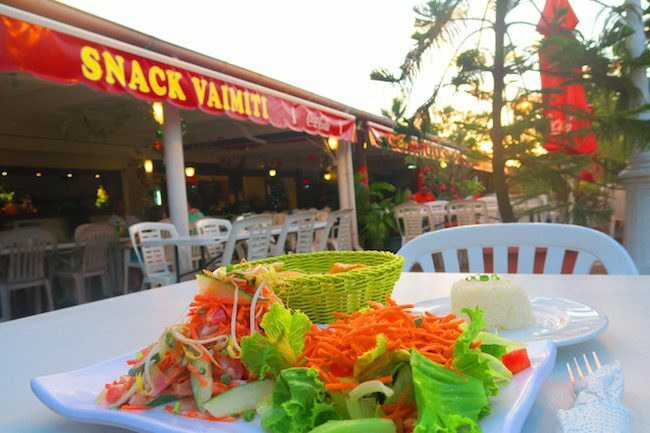 Right behind the sandy soccer field is a great little spot called Snack Vaimiti. 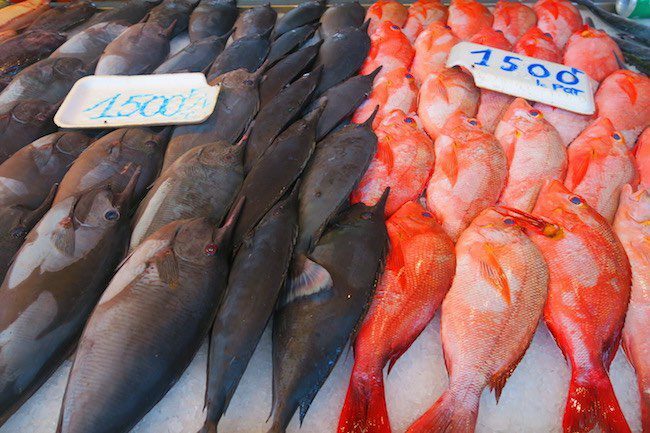 If you haven’t already tasted some poisson cru – here’s your chance. The national dish of raw tuna chunks in coconut milk is simply a must! 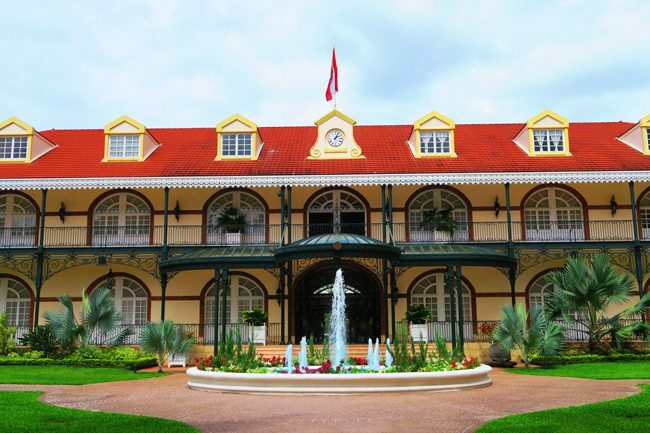 Relax in the gardens or head back to town via the waterfront boardwalk and Bougainville Park. 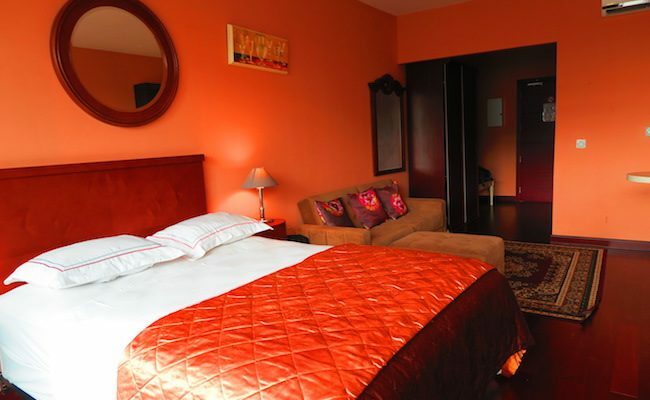 Go back to your hotel, rest, pack and get ready for the night! Need to do more shopping? Head back to the market. It’s open until 5pm. 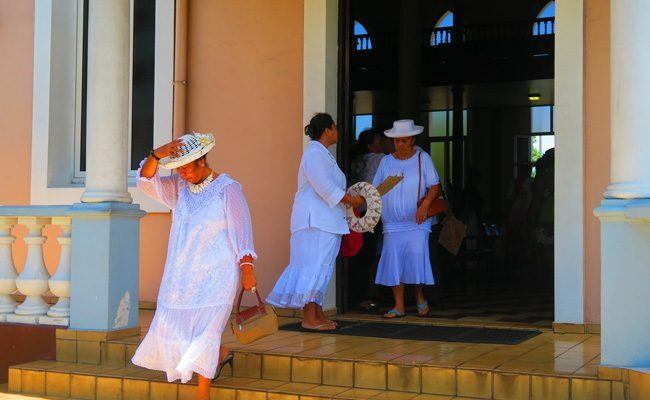 Time to join the locals in Place Vaiete for one of the highlights of Papeete. 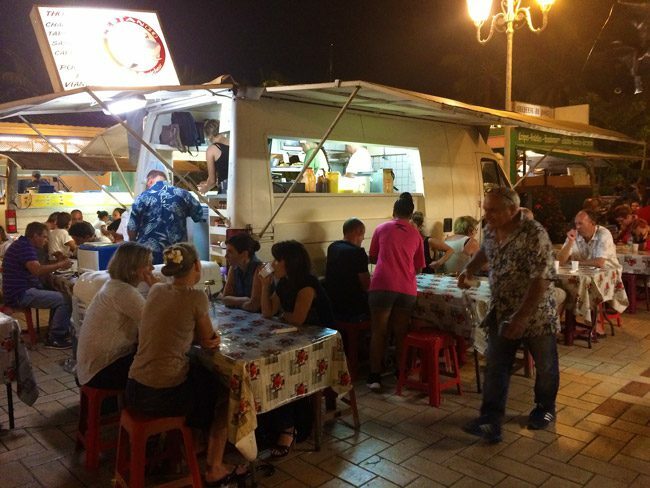 Tahitians love to eat out, and the best place to grab dinner in Papeete is in the roulottes of Place Vaiete. 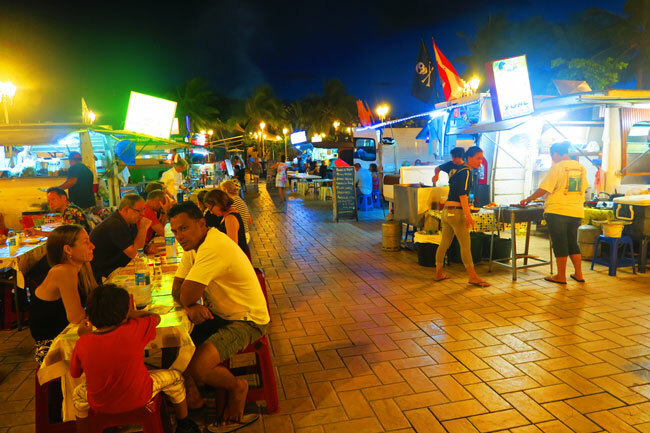 Every day starting at 6pm, food trucks dot the square, cooking anything from Chinese food to traditional Tahitian dishes. Check out the menus, grab a seat and enjoy massive portions of food always served with a side of sliced baguette! 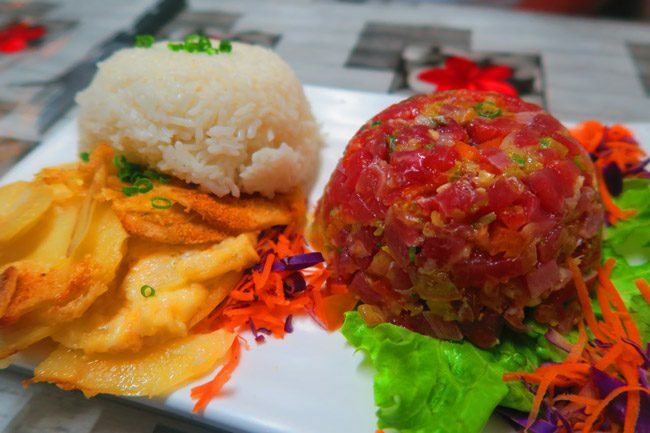 The best roulotte for seafood is at L’estanco – the red tuna specialists – where you must try the tuna tartare! Rumor has it that the owner – Gilles – has closed his rouloutte, so have a look and keep me posted. 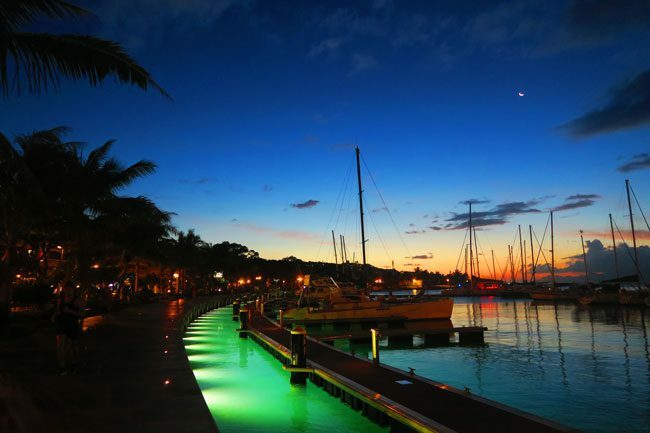 To help digest some of that delicious food, walk along the beautifully lit waterfront. The sun should be well on its way to New Zealand, and the yachts should be back after a day out in the warm ocean. 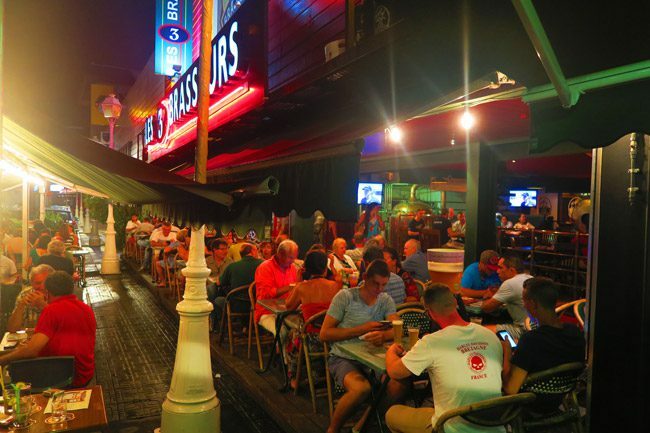 If that wasn’t enough, head to Les 3 Brasseurs to wash things down with a glass (or a five-liter pitcher) of Tahiti-made brew. 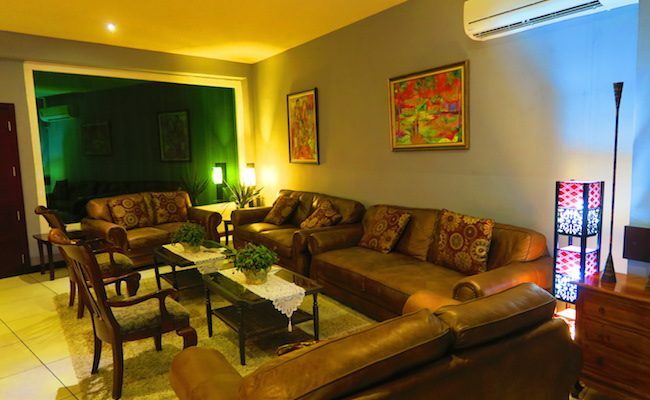 Choose from five different flavors and mingle with the young local crowd. 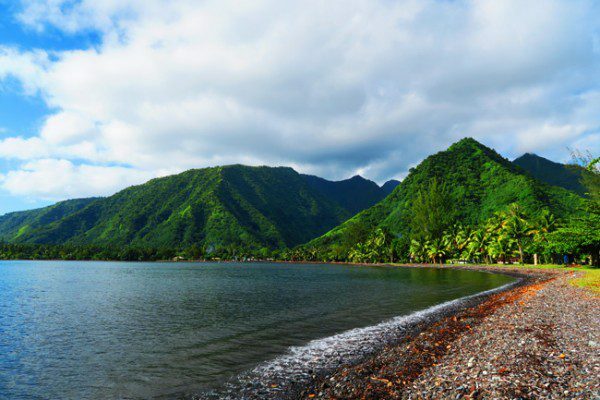 There’s lots to see and do in Tahiti. This is just the tip of the iceberg. 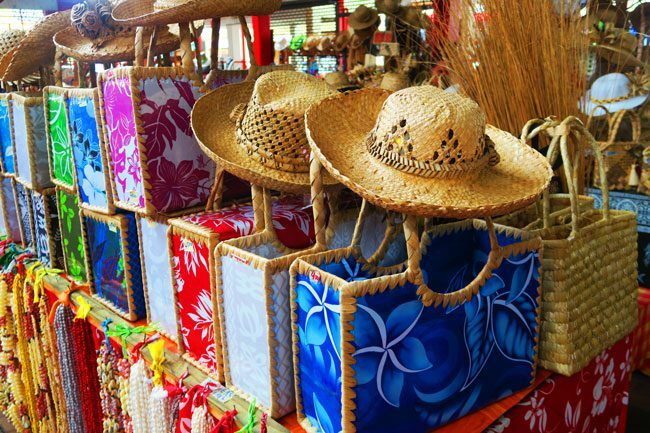 If you only have 1 day in Tahiti, this itinerary should give you a good taste of the town and help you do some shopping before heading home! 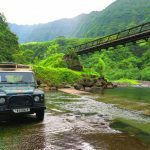 For more information, discount on car rental, tips and tricks about Tahiti – check out the complete Tahiti Travel Guide. 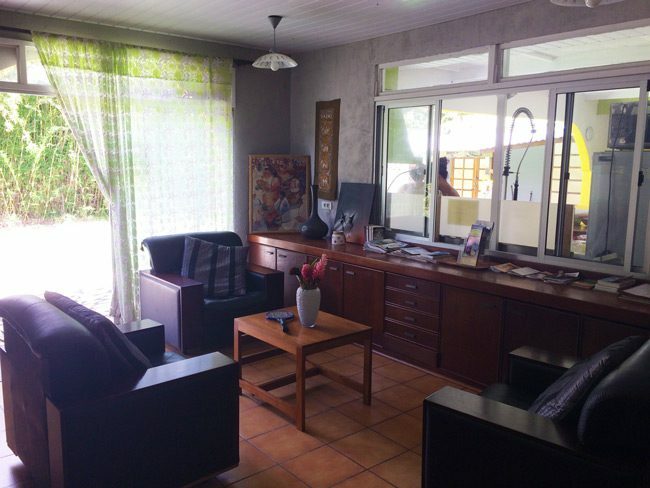 Traveling to other islands in French Polynesia? 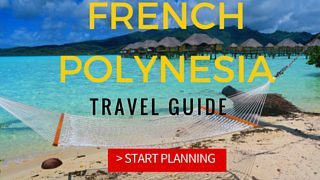 Start your reading with French Polynesia Travel Guide, where you’ll also find similar travel guides to 11 islands in French Polynesia! Found this itinerary useful? Have any questions? Leave a comment and feel free to share your own tips! 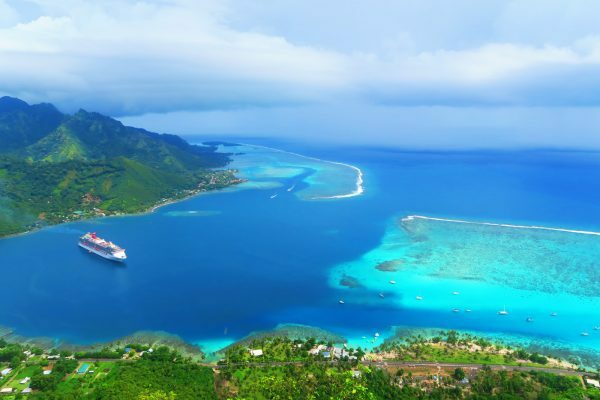 We have a full day to explore Tahiti after we disembark our ship and before we leave on our return flight at 10:30 pm. 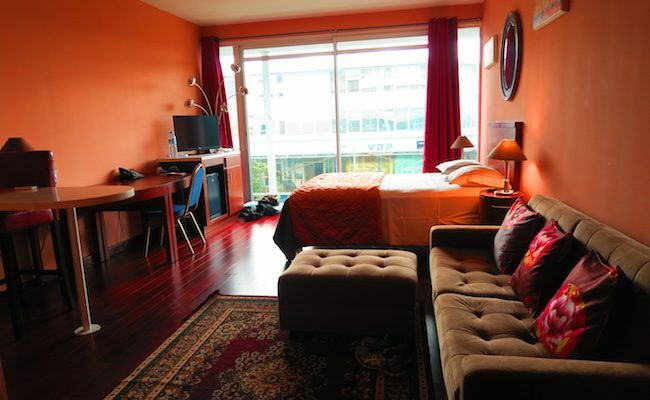 We want to rent a car from the airport after storing out luggage and go to a beach, the botanical garden and the market. Is there any place to shower before we catch our plane ? 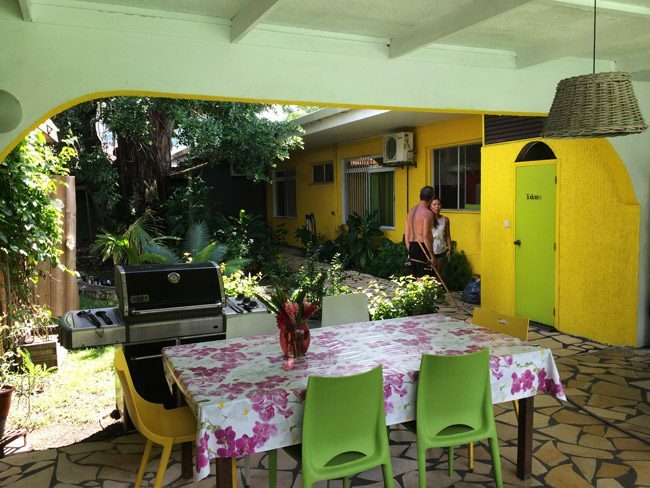 I am pretty sure that there is a beach shower at the PK18 public beach but you never know… another option could be to book a night at the Tahiti Airport Motel / Mahana Lodge Hostel & Backpacker just to use their showers. Found this on day 2 of our stay. Looks like your are spot on in your recommendations. We were in a bit of a jet-lag blur yesterday, so we will try to do it right today. Thanks for the feedback guys. Tahiti certainly has a few gems. Happy travels! !